A detailed summary of the trip was deleted from the MEMO site, but i24News saved a copy. Mr Corbyn is reported to have visited the wife of a man convicted of spying for Hezbollah, whom the report called a “political prisoner”. The delegation also met Arab-Israeli lawmakers Jamal Zahalka and Taleb el-Sana, visited Silwan and Sheikh Jarrah in Jerusalem, and attended a Bedouin protest as well as meeting Palestinian Authority officials and visited Jaffa. But according to the MEMO report, Mr Corbyn did not meet a single Jewish Israeli on the trip. Tory MP Andrew Percy – the vice-chair of the all-party parliamentary group on anti-Semitism – has referred the matter to the Parliamentary Standards Commissioner. He told the Times: “Whether the trip was properly declared or not, this visit was a further example of Mr Corbyn’s apparent indulgence of extremists such as Hamas. “We are repeatedly told that these visits are to promote peace but in truth they do the exact opposite by giving credibility to the most extreme elements of just one side of this conflict,” he added. 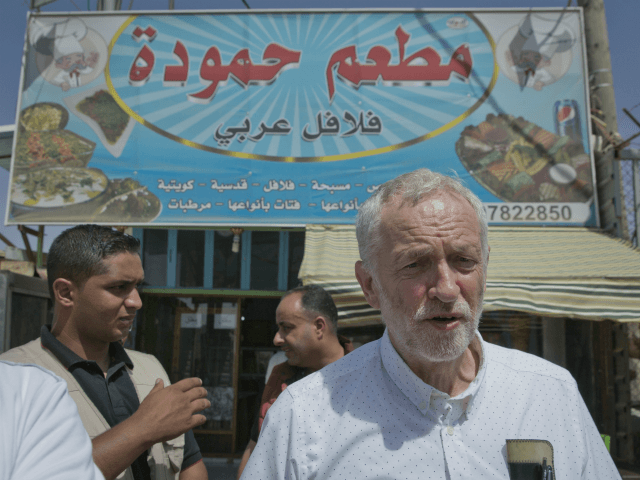 Mr. Corbyn was last week reported over an undeclared 2014 visit to Tunisia at which he laid a wreath in a Palestinian “martyrs” cemetery.